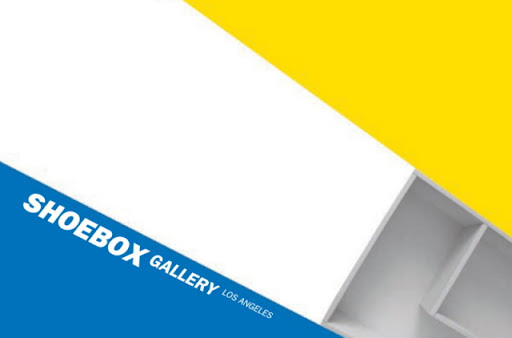 ShoeboxLA is very pleased to begin its second season with Los Angeles artist Jay Erker. For Cut Both Ways Erker presents, in book form, layered fashion advertisements whose subject matter has been clearly removed. Bodies of abstraction are created by the accumulation of layered pages and the subsequent interstitial spaces are shaped from the cut away figures. Eliminating the subject diverts attention from that which is meant to compel, focusing the viewer’s attention to the figure’s absence, the background of the originating image, and the newly constructed abstracted imagery. Erker received her MFA in film at California Institute of the Arts in 2001 and her BFA in photography in 1997 from the University of Florida. She co-founded Weekend, an artist-run space in Los Feliz, with husband John Mills. This season ShoeboxLA is working in conjunction with The Los Feliz Business Improvement District (www.losfeliz.biz). Look for us exclusively around Los Feliz for this exciting second year.